Laidback Luke, Fedde Le Grand and Benny Benassi were among the DJs as Capital XTRA broadcast live from the Victoria Warehouse in Manchester on 8th March. Here's how things went down in Manchester. 1. 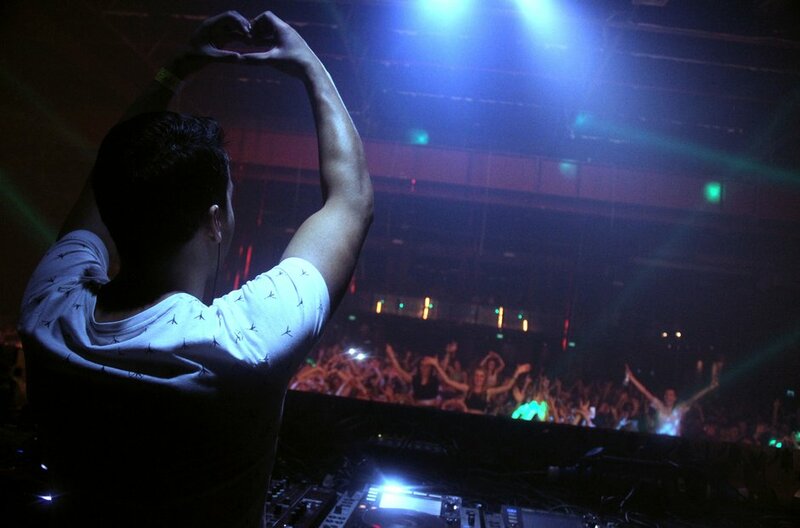 Laidback Luke throws a heart shape to the crowd mid-way through his set in Manchester. 2. Who's ready to party? 3. When the beat drops! Fedde Le Grand at the Victoria Warehouse. 4. Eddie Halliwell gets the crowd bouncing in Manchester. 5. Benny Benassi and Capital XTRA's very own Laidback Luke at Victoria Warehouse. 6. These three guys put the "X" in Capital XTRA in Manchester. 7. Ummm... the party's this way! 8. Down the front with Laidback Luke's fans. 9. Eddie Halliwell kicks off Capital XTRA's live broadcast from the Victoria Warehouse. 10. The face says it all - Laidback Luke at the Victoria Warehouse was epic! 11. Put your hands up for Manchester... Fedde Le Grand loves this city! 12. So does this guy. 13. Laidback Luke takes things to another level during his DJ set. 14. Guess who this guy was looking forward to the most? 15. Laidback Luke backstage ahead of his set at the Victoria Warehouse in Manchester. 16. The world's biggest DJs kept the party going all night in Manchester. 17. One girl tries to get a better view of the decks. 18. These boys were having a big one. 20. More than 5000 fans packed into the Victoria Warehouse to watch the all-star line-up. 21. As the night goes on, the clothes come off! 24. No one wanted to miss a second! 25. Give us a kiss! 27. We broadcast for four hours direct from the Victoria Warehouse. 28. Our Capital XTRA competition winners gets the VIP treatment with Laidback Luke.